Joy Baker’s patients travel 40 miles on average to see her. Some pull up in their own cars, but if they’re too poor to own one, they might hitch rides with friends or on the Medicaid van, which must be scheduled three days in advance and also can run early or late. In that case, they wait for a quick opening in Dr. Baker’s day so she can fit them in. They pass the time in the waiting room, staring at their phones or flipping through issues of Pregnancy & Newborn magazine. Her patients come to her for the most fundamental of reasons: She’s one of only two OB/GYNs in a swath of rural Georgia that spans eight counties and 2,714 square miles. Baker works out of the Upson Regional Medical Center in Thomaston, about halfway between Macon and Columbus. We hear a lot about safety net hospitals, but Baker is a safety net doctor. Half of Georgia’s 159 counties—79, to be precise—do not have a single obstetric provider. Rural hospitals are closing. In Georgia a pregnant woman has a greater chance of dying before she delivers, or in the weeks after, than in any other state in America. So Baker’s practice here in Upson County, where nearly a quarter of the residents live below the poverty line, represents a kind of miracle—but a precarious one. Baker observes as Brianna, a high-risk patient, receives an ultrasound. The images will be sent to a perinatologist in Atlanta. Baker has been at the hospital since 7:30 a.m., and by lunchtime she will have also performed a laparoscopic surgery, delivered a baby via C-section, induced labor for a pregnant patient who was past her due date, and checked in on a mom who delivered the day before. Baker bought a home in Thomaston after she accepted the job here in 2015—renovating it in cheery colors, with a pink front door and chandeliers in nearly every room—and she chose it mainly for its strategic location just a few hundred yards from the hospital. She can take calls from home and still be at Upson within minutes. In the afternoon Baker heads to her office across the street from the hospital, where she has a full slate of high-risk pregnant patients who come in regularly to videochat with a specialist in Atlanta. Baker introduced telemedicine for her high-risk patients in March, after the hospital was awarded a grant. Up until then, the women had to travel to Columbus, Macon, or Atlanta to see a perinatologist, a doctor who specializes in the management of high-risk pregnancies. Baker’s path to Thomaston was not planned. She wasn’t even supposed to be an OB/GYN. Growing up in LaGrange and Jonesboro, she wanted to be a surgeon. 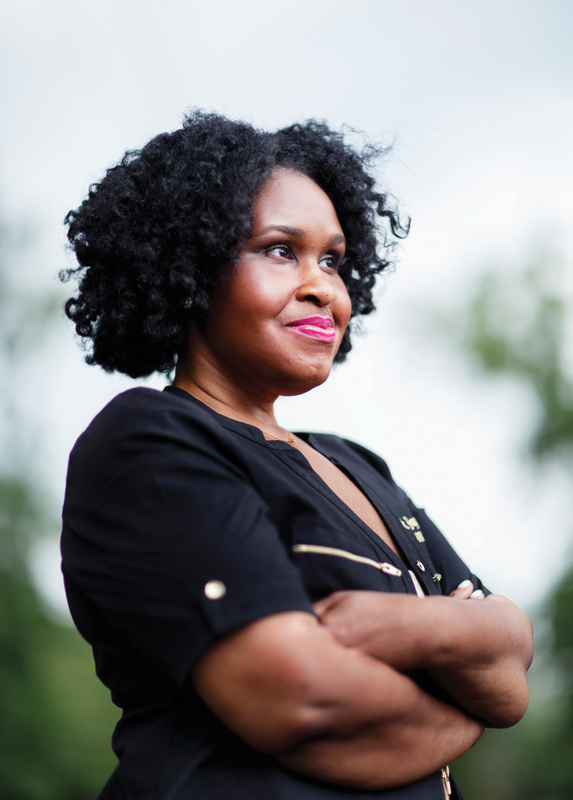 It wasn’t until her final year of medical school at Morehouse, while working in the trauma and surgical ICU at Atlanta Medical Center, that she began to reconsider her path. “A man was brought in with a gunshot wound, and his kidney was beyond repair,” she says. “The attending just took it out and tossed it onto a surgical table.” As the trauma team worked on the patient, Baker couldn’t stop glancing over at the mangled organ. She thought, I don’t want to see people killing and hurting each other for the rest of my life. 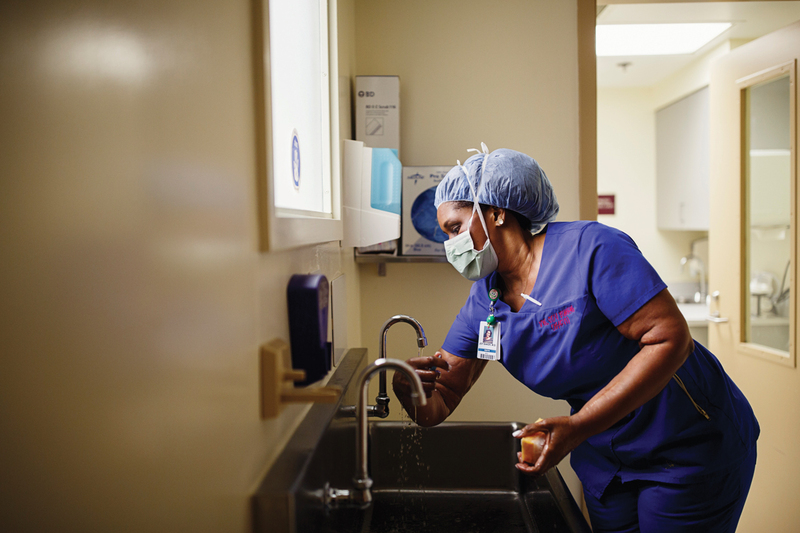 Baker did her OB/GYN residency at Morehouse and then found a job at a hospital in Columbus, Georgia. She preferred the lifestyle of a smaller city. “In Atlanta, because of the traffic, pretty much every practice wants you to remain at the hospital while you’re on call, which might be for 24 hours at a stretch,” she says. She traveled to Thomaston occasionally as a locum tenens, or fill-in, physician. At the time, the practice did not have a full-time OB/GYN, and temporary doctors rotated in and out frequently. “One day I called to check on a patient, and I got to talking with one of the nurses,” says Baker. “She told me, ‘I wish we could have a nice doctor like you here in Thomaston.’” Baker, whose Columbus hospital was planning layoffs, inquired about the job. “Ultimately fewer people want to live in rural areas in general, whether they’re doctors or not,” says Shelley Spires, president of the Georgia Rural Health Care Association. Thus, while the entire state of Georgia faces a physician shortage, the problem is especially critical outside of large, or even midsize, metropolitan areas. Of the state’s 108 rural counties, 93 are designated as workforce shortage areas in terms of primary care. Compounding the issue, salaries at small rural hospitals can be less competitive than at large metropolitan ones, making recruitment more challenging. Baker checks on Brandi, a pregnant patient who is also a nurse practitioner. “I always feel honored when other medical staff choose me as their doctor,” she says. 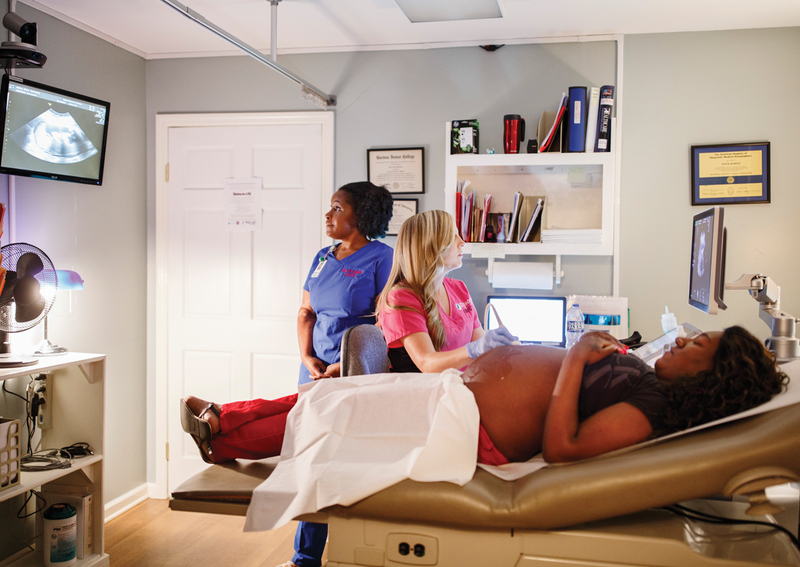 In Thomaston, Baker provides obstetric services as well as gynecologic care. She also performs gynecologic surgeries. 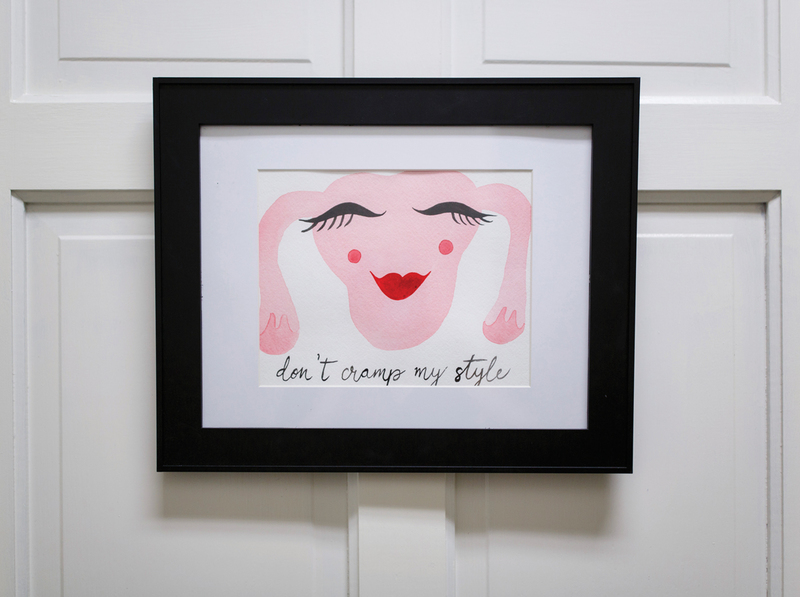 “I see women who just need a Pap smear, pregnant patients, teenagers with menstrual problems, plus whatever comes in the emergency room,” she says. Some days Baker might see 40 patients or more. It wasn’t always this way. In the 20th century Thomaston had been a thriving manufacturing town, with three major employers: Thomaston Mills, B.F. Goodrich, and William Carter Company. But when those mills shut down (Thomaston Mills, once the town’s largest employer, declared bankruptcy in 2001), it devastated the local economy. “When I came here in 1981, there were six mills open and thousands of people working there,” Smith says. “After the last mill closed, most of those patients ended up on Medicaid, and we lost nearly all of our third party payer insurance.” (It’s estimated that 80 percent of patients in south Georgia are insured through Medicaid, compared to just 10 percent in north metro Atlanta.) Because Medicaid typically pays providers much less than do private insurers, the financial implications were considerable. A patient prepares to videochat with a high-risk specialist in Atlanta. Many of the state’s hospitals have had to make tougher choices. Between 1994 and 2015, more than 30 labor and delivery units have closed in Georgia. “When you have a rural hospital that’s already struggling financially, if they have to choose one thing to go, it’s often labor and delivery,” says Dr. Adrienne Zertuche, an OB/GYN and the president of Georgia Maternal and Infant Health Research Group. Even that’s not always enough to keep hospitals in business. Since 2010 eight rural Georgia hospitals have shut down completely. As the providers attached to those hospitals or delivery units have scattered, wide swaths of rural Georgia have turned into maternal healthcare deserts. By 2020 it’s estimated that 75 percent of rural primary care service areas will lack adequate obstetrics care. Just as cities are drawing practicing OBs away from rural areas, other specialties are drawing physicians away from OB work. Money is a big issue, says Dr. Chadburn Ray, associate professor of OB/GYN at Medical College of Georgia at Augusta University. From 2002 to 2012, the percentage of Georgia medical school students graduating with more than $200,000 in debt increased from just three percent to 30 percent. Meanwhile, the average starting salary for primary care (including OB/GYN) in 2012 was just over $168,000, compared to $231,000 for all other specialties. “When you’ve got a massive loan burden and you know you can make significantly more money in a different specialty, or even a subspecialty like reproductive endocrinology, it makes general OB/GYN a tough sell,” he says. And unlike, say, reproductive endocrinologists, who can see patients during regular clinic hours and work a predictable schedule, obstetricians must be prepared to deliver babies at any time of day or night. Ray says that while a previous generation of physicians may have accepted this as a matter of routine, expectations today are different. “There was once a time when [medical residents] stayed and worked until it was done,” he says. That changed in 2003 when restrictions were placed on residents’ on-duty hours; those restrictions were tightened in 2011. The rules were put in place to help reduce fatigue-induced medical errors, but as a consequence, many doctors now aren’t prepared to work a crushing schedule upon completing their residency. The door to Baker’s office in Thomaston. The remaining doctors who do provide traditional OB/GYN care are increasingly subject to burnout. “Maybe you want to be around more for your family, and you’re tired of getting up at 3 a.m. to deliver a baby,” says Ray. “So you decide to drop the obstetrics part of your practice.” There’s even a financial incentive because gynecologists don’t have to carry OB malpractice insurance, which is very expensive, in part because obstetricians aren’t just dealing with one life but two. “It’s not going to be an easy fix,” says Zertuche, “because a lot of these [issues] are just pervasive parts of our society and our education and political systems.” There have been some successes. In 2014 the Georgia House of Representatives passed a bill to make it easier for OBs to qualify for tuition reimbursement so long as they practice in areas of need. If eligible, they can receive up to $25,000 in annual loan repayment for up to four years. The state has also tried increasing its funding for OB/GYN residency slots. “The feeling is that if you can keep more medical students here in residency, you might be able to keep them here in practice,” says Zertuche. To lure doctors back into obstetrics, last fall Ray created the Georgia Center For Obstetrics Re-Entry Program (Georgia CORP). Essentially a refresher course to help OBs become recertified, the program—which is affordable as a result of state funding—requires its graduates to remain in Georgia and gives priority to physicians who can work in rural areas. Doctors are also trying to rethink how care is delivered to patients now that providers are fewer and more spread out. Telemedicine, like the program that Baker implemented, is improving access to physicians and specialists. But it’s a poor substitute for being in the same exam room. 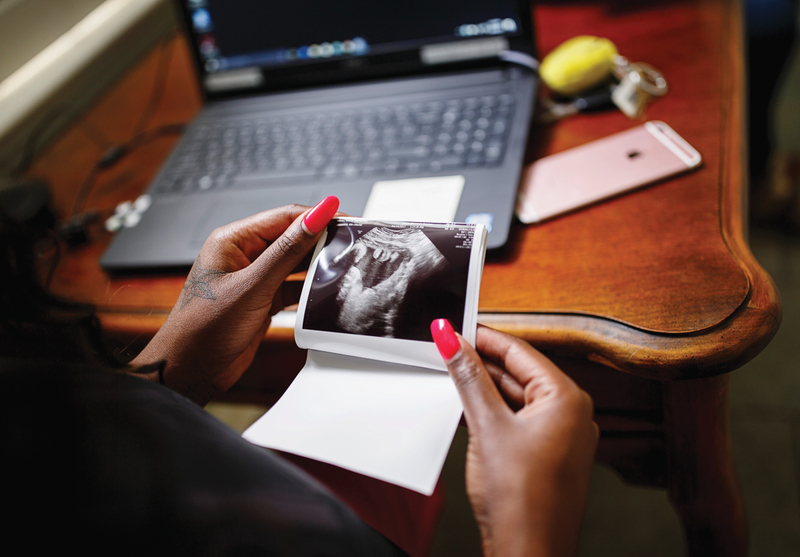 If the number of obstetrics providers continues to decline, Zertuche says, eventually the state and the medical community will have to go back to the drawing board on how to provide that in-person care. Dr. Baker remembers the first time a patient said that she was the best doctor they’d ever had. She also remembers being startled by the praise because she hadn’t delivered the woman’s baby or done much at all for her medically. “It was while I was at Grady, and nobody wanted to see this patient because she was kind of mean. But she was from out of town, and I knew that she didn’t have any support in Atlanta,” says Baker. The woman ended up needing an emergency C-section, and while Baker was doing rounds on Friday afternoon, she encountered the patient in tears. “She was so scared, and I had couple of days off. So I spent the weekend with her. We watched TV as they prepped her for her C-section, and then I sat with her during the procedure like I was her family member.” The day after the patient went home, a severe ice storm hit the city. 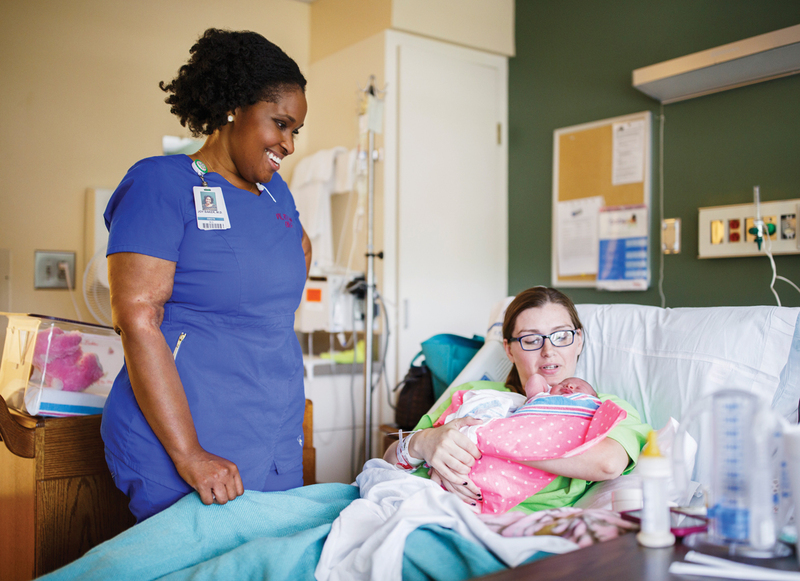 Baker knew the woman’s baby needed special formula, and after she got off work that night, she delivered milk from the NICU to the patient’s home. Although she is not herself a mother, Baker feels an almost maternal responsibility for the town and her patients. In addition to telemedicine, she has introduced a model of care known as “centering,” which is designed to provide increased education and peer-to-peer support for moms to be. “We see so much depression among our patients—I’d guess it’s as high as 50 percent—and I think a lot of it is due to isolation,” Baker says. “The centering program is meant to show that there are other people who are going through the same things.” After giving birth, the women stay in touch at postpartum sessions; one popular activity is a monthly dance for new moms, who execute hip-hop moves with their infants nestled in baby carriers. More than 30 hospital labor and delivery units have closed in Georgia between 1994 and 2015. 79 of Georgia’s 159 counties do not have a single obstetric provider. 8 rural Georgia hospitals have shut down completely since 2010. More than 80 of the states 109 rural counties are designated as workforce shortage areas in terms both primary and specialty care.